Contributed by Lizette Royer Barton. This is the second installment of the “Psychology of…” book of the month blog series. Two years ago I was 38 weeks pregnant and looking for a little parenting advice so I turned to the CCHP Book Collection for help. Fast forward to 2016 and I have a two-year old and a 7-month old and once again I’m desperate for help. I could really, really use some sleep. The Psychology of Sleep by Bolton Hall was originally published in 1911 as The Gift of Sleep. The CCHP houses the second edition, published in 1916, exactly 100 years ago. That seemed fitting since it seems like it’s been 100 years since I’ve had a good night’s sleep. But I digress…. Bolton Hall – this guy looks like he sleeps well, no? Before I even cracked the book I just knew I was going to see that darn, “sleeping like a baby” hooey. Yep, page 1, there it is, “…the best sleepers…sleep like a child.” Every time I see something like that I think to myself, “Whose child? !” Certainly not mine! I skimmed through The Psychology of Sleep looking for tips but didn’t find much regarding getting a child to sleep. Though, Chapter XV titled “Opiates” did seem promising. Since I wasn’t finding anything that really excited me I decided to Google Bolton Hall and see what he was all about. Wow! Now, I was excited! Bolton Hall (1854-1938) is probably my new favorite person. Hall was born in Ireland in 1854 and immigrated to the United States with his family in 1868. The son of a Presbyterian minister, he graduated from Princeton in 1875. In 1881 he earned his law degree from the Columbia Law School. He was a founder of the American Longshoremen’s Union (now the ILA) and the New York Tax Reform Association. He was arrested for distributing birth control information in Union Square in 1916. And best of all, he was the originator of the back-to-the-land movement at the turn of the century. Bolton Hall was a champion for the poor and the working class and an advocate for returning the land to the people. He established the Vacant Lot Gardening Association in New York City in 1906 that later morphed into The Little Land League which had over 200 members by 1909. These organizations helped provide farming education and housing for New Yorkers, including several families who lived on 30 acres of land in the Bronx owned by the Astor family. They also helped construct a year-round tent city that housed a half a dozen families in Bronxville. Wild side note – the president of The Little Land League in 1909 (Hall was treasurer) was P. Tecumseh Sherman, son of General William Tecumseh Sherman. Hall established Free Acres, a co-operative/mini-municipality/kinda-sorta Utopian community in 1910 in Berkeley Heights, NJ through the donation of roughly 70 acres of land. And people still live there today! Check out the Flickr site – it’s awesome. Whew! When I signed up to write a blog about The Psychology of Sleep I did not think I’d end up here. Dear reader, you just witnessed someone tumbling down the researcher rabbit hole! And the Bolton Hall rabbit hole led me to his book Three Acres and Liberty. By thought and courage, we can help ourselves to own a home, surrounded by fruit and vegetables, flowers and poultry….life belongs in the garden (Hall, 1918, p.1 & p.10). Right on, Bolton. That helps me sleep at night. – contributed by Cate Conley, Museums & Archives Certificate student. When looking at the buildings that make up The University of Akron, most people will immediately recognize the newer structures on campus, such as Infocision Stadium, the Student Union, Stile Athletics Field House, and the new dorms. But, not many people think of the buildings that existed on campus before they were considered University property and their roles in shaping not only The University of Akron, but the community of Akron, Ohio as a whole. As students, faculty, and staff at the University or as members of the community, we have an obligation to ourselves and to those who have yet to experience Akron, to participate in the discussion of what shapes us… what shapes our city. On May 7, 2016 from 3-5pm students will hold an opening reception to unveil an exhibit within the Akron-Summit County Public Library’s Special Collections showcase titled The University of Akron Repurposes Akron History: Polsky’s, Quaker Square, Roadway, & St. Paul’s. The exhibition highlights the significance and value of these buildings to the University, the community, and Akron’s history. The exhibition opening is free to the public, so come visit and tell us what you think! We ask you to participate in the conversation of preservation and the adaptive reuse of these historical buildings. Their continued use and/or demolition shapes our future not just as students, but as members of this community. This exhibit opens during with May’s Akron Art Walk and will be available for viewing during the Akron-Summit County Public Library, Main Library (60 S. High Street, Akron, OH 44326) from May 7 through August 21, 2016. You can visit during regular library hours. –Contributed by Christina Gaydos, Kent State Library and Information Science practicum student. As part of my 150 hours at the CCHP as a practicum student, I participated in several cataloging and related projects. 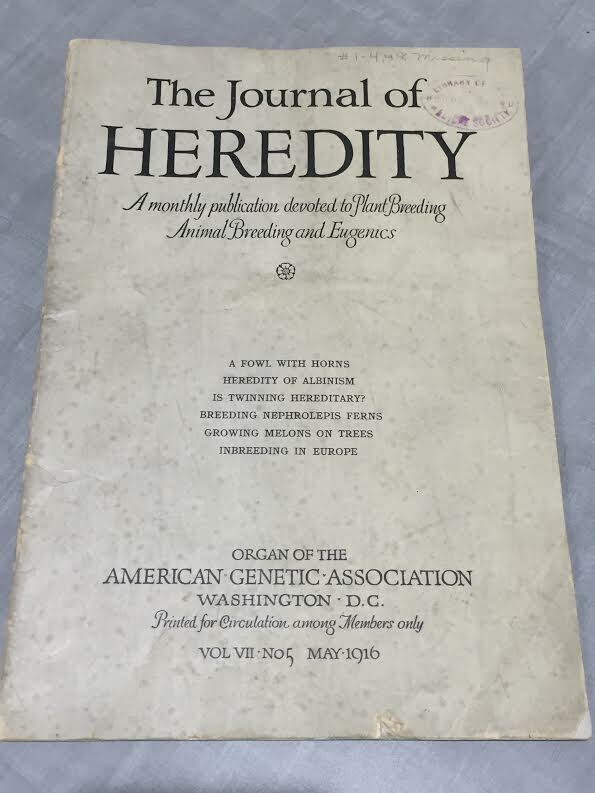 One of the last projects is my work with the journal collection housed here at the Archives. 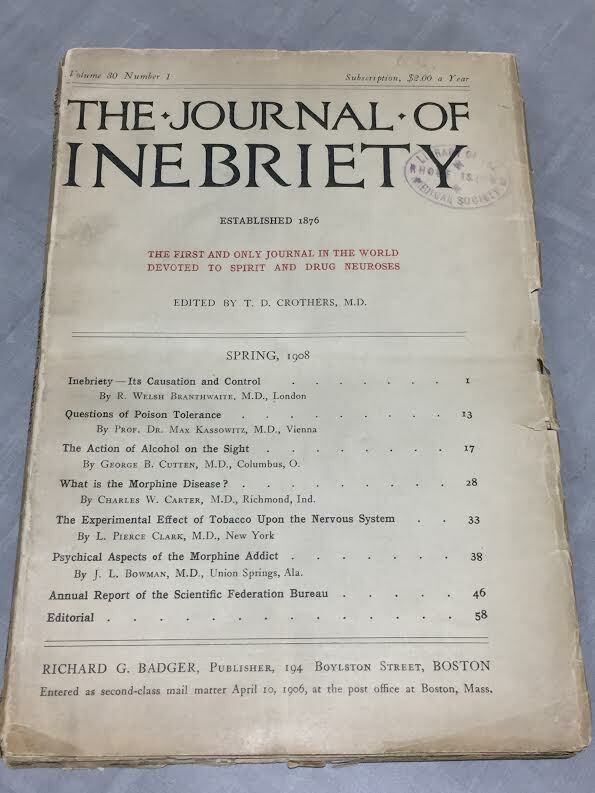 The Cummings Center journal collection contains a number of psychology journals, dating from the late 19th century to the present. 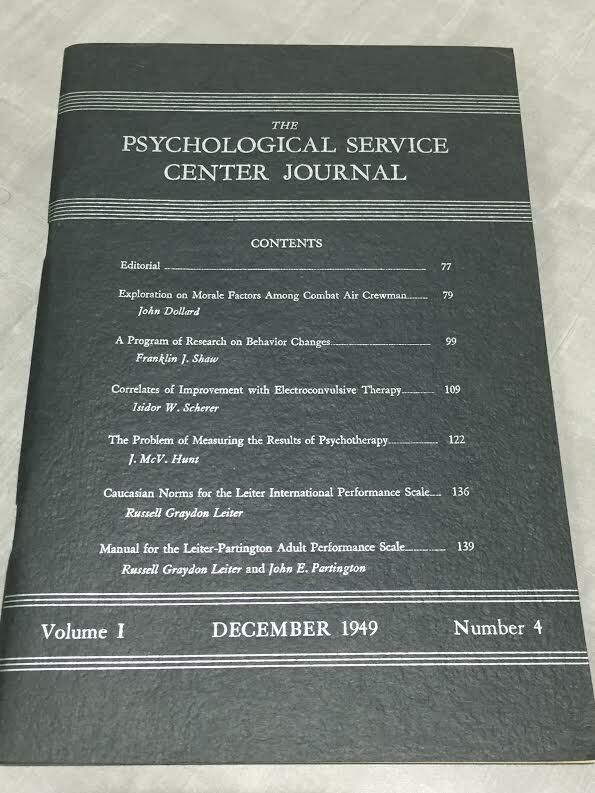 The journals cover a variety of topics in psychology, the natural sciences, and related fields. 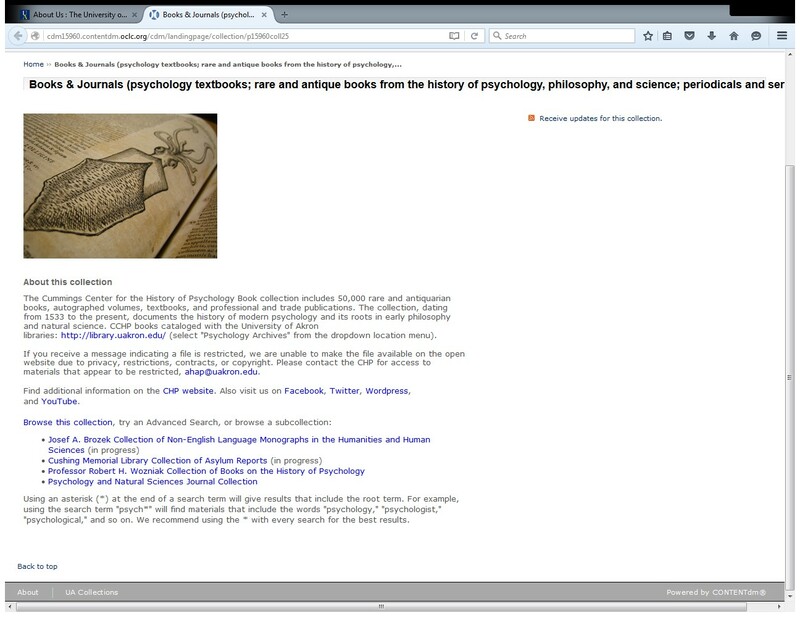 I participated in a small digitization project with the Cummings Center Digital Projects Manager, Jodi Kearns, to create the Psychology and Natural Sciences Journal Collection, which visitors of the Archives online repository can now access thorough the “Books and Journal” collections. Three goals of the project were to  bring attention to a small section of the collection,  begin to make this part of the collection searchable and accessible for anyone interested, and  help me learn a new skill in digitization and continue to practice my cataloging skills. 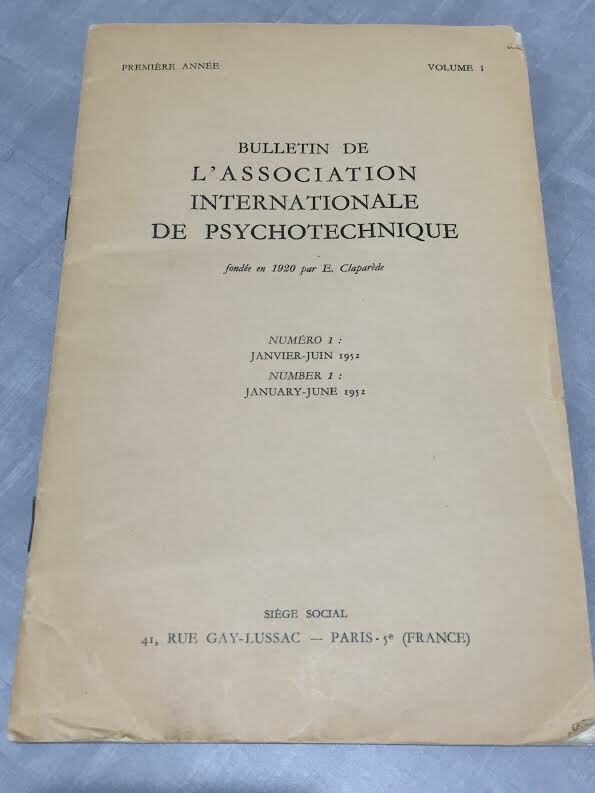 Visitors can locate the Psychology and Natural Sciences Journal Collection under Books and Journals at the CCHP digital repository. Initially, I selected a variety of interesting journal titles to catalog and upload to Sierra, the integrated library system (ILS), a computer program that allows the archives employees to access, search for and locate materials within their collection. In order for a book, CD, movie, manuscript, puzzle, videogame, journal, box, etc to be searched for, the item in question must have its metadata — a set of data that describes and gives information about other data: the title, author, barcode number and more—added to the ILS so it can be found. This is where I come in. In the simplest of terms– to start, I created a record with the corresponding metadata for each journal, then uploaded it to Sierra. Next, Jodi showed me how to scan the journal’s front cover and content page into digital files. Finally, I created new records within ContentDM, the program used to get Sierra’s records onto the web for the public to use and search for items with the Psychology Archives. This includes the digital thumbnails of the journal cover and all of the corresponding information one might try to search for when looking for an item. Cataloging is one of the lesser known jobs of libraries and museums, but absolutely crucial for patrons of such institutions to find information or items within their collections. I cataloged a small portion of the journal collection, and hopefully in the near future, the remaining part of the collection will also be added. Christina Gaydos is a Kent State Library and Information Science student completing a Spring practicum here at the Archives, and will be graduating in May 2016. Her focus has been on cataloging, assisting in cataloging print and manuscript collections, amongst other projects, including work with ContentDM. Christina will begin work as a Catalog Librarian for the Toledo Lucas County Public Library in May 2016.